News and views about the many ways that IU, its faculty and students are engaged in international partnerships and research. According to the book “English as a Global Language,” about one-fourth of the world’s population is “already fluent or competent in English.” The most widely taught foreign language is English, which is used by people worldwide to communicate for commercial, scientific, technological and diplomatic reasons. 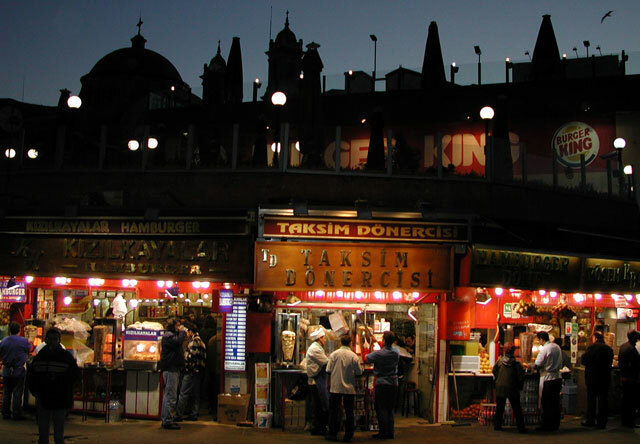 Burger King looms over this market scene in Istanbul, demonstrating the linguistic intersections between the English and Turkish languages. While English may be the common language between speakers whose native languages are different, a lot can be lost in translation, which can lead to misunderstanding and mistrust. That’s why the extensive programs at Indiana University to educate students about critical languages are so vital. For decades, the university has been an international leader in regional and area studies and more than 70 languages are taught regularly at the Bloomington campus. More than 4,800 students at IU Bloomington are enrolled in language courses (as are another 1,600 students at IUPUI). This week, the U.S. Department of State’s Critical Languages Program recognized IU by awarding 14 scholarships to students, who will spend seven to 10 weeks in intensive language institutes this summer. The institutes are located in 13 countries, where students will immerse themselves in studying Arabic, Azerbaijani, Bangla, Chinese, Hindi, Korean, Indonesian, Japanese, Persian, Punjabi, Russian, Turkish or Urdu. The CLS Program is part of a U.S. government effort to dramatically expand the number of Americans studying and mastering critical foreign languages. It provides fully-funded, group-based intensive language instruction and structured cultural enrichment experiences. 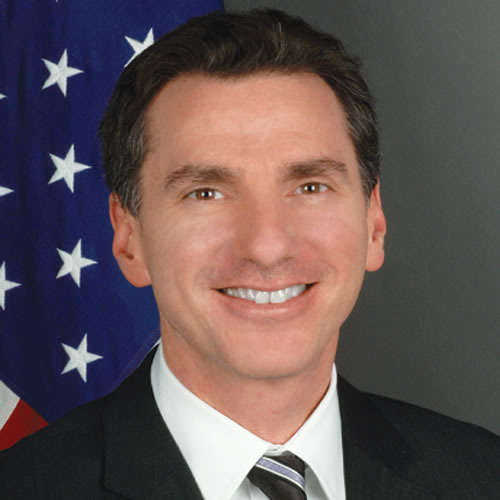 Lee Feinstein, dean of the School of Global and International Studies at IU Bloomington, has a special perspective of the program. He served as U.S. ambassador to the Republic of Poland from 2009 to 2012 and was principal deputy director of policy planning to Secretary of State Madeleine Albright and national security director to former former Secretary of State Hillary Rodham Clinton during her 2008 presidential campaign. Program participants are expected to continue their language study beyond the scholarship and apply their critical language skills in their future professional careers. The CLS Program is administered by American Councils for International Education. Since 2006, 80 students in IU’s College of Arts and Sciences, Jacobs School of Music, Kelley School of Business and School of Public Health-Bloomington have been selected for the CLS Program. This week, IU Bloomington Provost and Executive Vice President Lauren Robel announced that her office also is awarding critical language scholarships to Margarethe Louise Kessler McDonald, who is majoring in linguistics, and to Caroline Elise Stokes, who is studying Central Eurasian Studies and international studies. This summer, construction will be completed on a new state-of-the-art $56 million building for IU’s School of Global and International Studies, which will bring the university’s language programs under one roof. They will include federally funded Language Flagship programs in Chinese, Turkish and Swahili, and National Language Resource Centers in African and Central Asian languages.